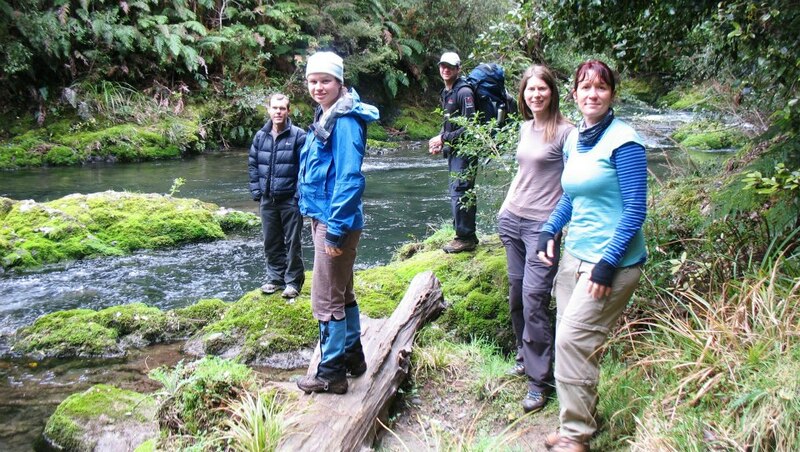 To go tramping in the Whirinaki Forest Park has always been a goal of mine – partly because it’s in The Book (https://reluctantcitydwellers.wordpress.com/all-52-tramps/) and also because it’s right next door to the Te Urewera National Park, which is an absolutely amazing and very large piece of bush! We stayed in Rotorua on the Friday night, crashing on the lounge floor of a lovely friend of Julie’s. She had a full house that night – about 15 people for dinner and 7 of them staying the night! First thing Saturday morning we headed off to Te Whaiti where we had arranged to leave our cars with Garry of Whirinaki Forest Holidays (http://www.whirinakiforestholidays.co.nz/) and get dropped off at the track start, which was about 45 mins away from Te Whaiti. From the Plateau Road end it’s meant to be about 3 hours down to Central Whirinaki Hut. The problem is, there is just so much to see! We stopped to take pictures of kaka (native parrot, algaes, lichens, trees, more trees, more kaka, woodpigeons, caves, rivers and more trees! 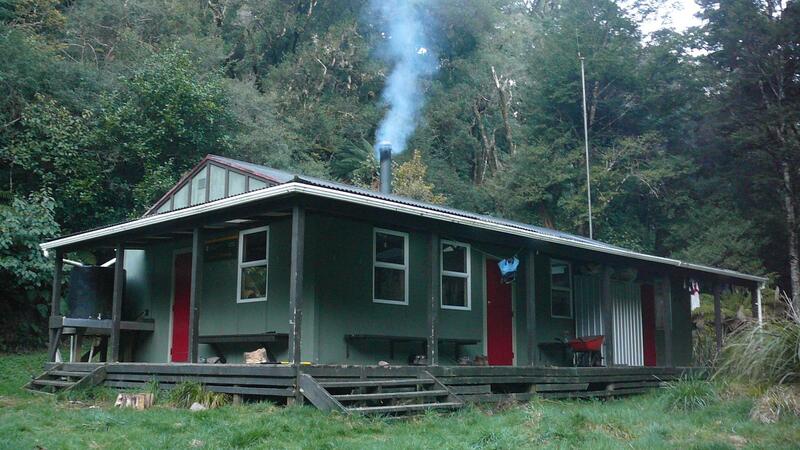 We eventually arrived at Central Whirinaki Hut, which we had all to ourselves – yay! It was a cold night but we were reasonably warm inside the hut, and nobody snored! The next day we headed off to River Road, which was meant to be about 5 hours from the hut. Again it took us more like 6 – there was just soooo much to see and do! This track was reasonably level and followed the river for most of the way. I even spotted a rare whio (blue duck) on this day as well! In a nutshell: if you ever get a chance to visit Whirinaki, then do. The trees are amazingly tall and the tracks are actually quite flat, and reasonably well graded. Well worth the effort it takes to get there! 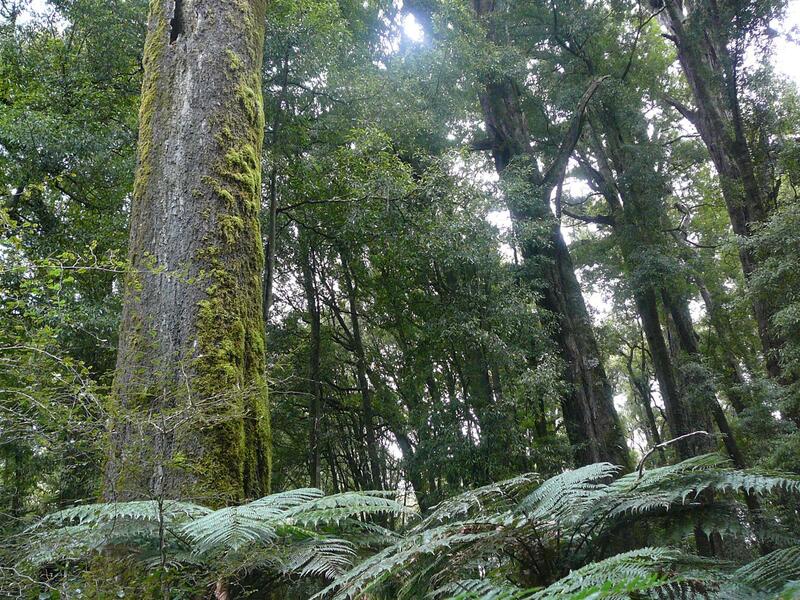 This entry was posted in Tramping / Hiking, Travel in NZ and tagged bush, hiking, tramping, whirinaki, wildlife. Bookmark the permalink.